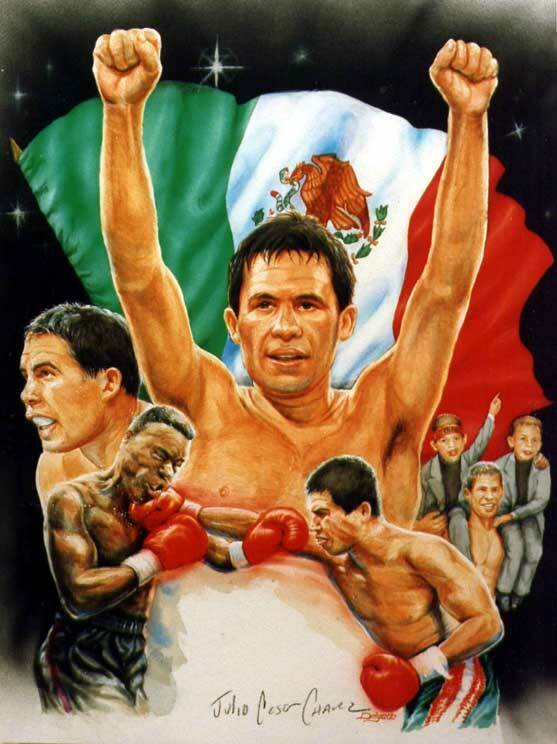 In 1996, Mr. Delgado was approached by Mexico's greatest boxer to create a rendition honoring him and his career. His nation's living hero wanted to have a work by Delgado that he himself would have a hand in directing. The end result is this painting that represents his personal triumphs for himself, but more importantly to his country. In one of the scenes portrayed, he's holding his two young children on his shoulders into the ring after recording another victory, his signature. "This was a honor to work with him directly and after he saw the finished painting he gave me one of the biggest abrazos" Delgado. LIMITED EDITON LITHOGRAPHS ONLY 1000 PRODUCED WORLDWIDE! cones with a certificate of authenticity. Shipping and Handling cost is included! 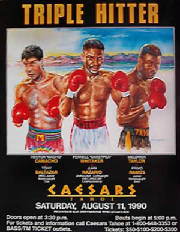 Special Framing is available- This includes three acid free matts black, white and green. It includes a wooden black frame, glass, hanging wire,essentially comes ready for hanging. Shipping and insurance is included! ARTIST PROOFS ONLY 200 WERE PRODUCED WORLDWIDE! For any inquiries please click here to email your questions.